Bharti Retail’s hypermarket stores Easyday have now become Big Bazaar outlets as the Future Group has completed their integration following the merger agreement in May last year. Future Group’s convenience stores — KB’s Fair Price and KB’s Conveniently Yours — are being turned into Easyday supermarket or neighbourhood stores in an attempt to streamline formats and improve customer connect. “We have done this over the course of the last one year. We have an iconic brand that customers are familiar with and the integration has added strength to it,” Big Bazaar CEO Sadashiv Nayak told BusinessLine. The retail giant will also not open any new convenience stores under the KB’s Fair Price and KB’s Conveniently Yours brands; future expansion of the neighbourhood supermarket format will be done only as Easyday. Already, the group has taken the Easyday supermarket store count from 188 at the time of merger to around 300 now. The new stores have been added mostly in Delhi-NCR, Haryana and Punjab. “In cities where both brands exist currently, KB’s will be converted to Easyday. However, wherever Easyday does not exist, existing KB’s will continue,” a company official said. The merger of Bharti Retail and Future Retail resulted in a ₹15,000-crore company, which has now been de-merged into two companies. The front-end company remains Future Retail while the back-end infrastructure company is expected to be listed next month. Big Bazaar, India’s largest hypermarket chain, is also becoming successful in its attempt to cater to a wider customer segment, which began last year with its Gen Nxt stores. In the eight months since launch, Gen Nxt stores are attracting youngsters, foreign nationals as well as time-starved working professionals besides the chain’s core shopper group, pointed out Nayak. “It is definitely trending 15 to 20 per cent more than what a new store would do for us,” he said, adding that the group is not looking at these stores from only a numerical perspective. Four more Gen Nxt stores are in the pipeline. Some are existing stores that will be modelled around Gen Nxt. 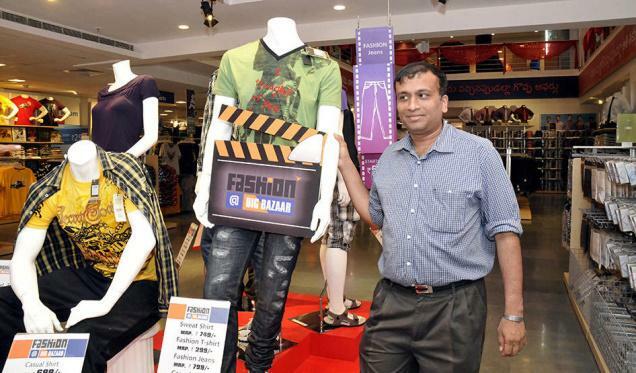 Nayak further said the group had accumulated a lot of learning from its retail formats. “We had gathered insights about retail in food from Foodhall, about electronics from eZone and fashion and lifestyle from HomeTown. “We have packed the learnings into one and added a layer of engagement for the shoppers in our Gen Nxt outlets,” he said. Devangshu Dutta, Chief Executive of retail consultancy Third Eyesight, observed that the Future Group has accelerated the change in its retail formats in tune with changing market dynamics. “In the last 10 years, the Indian market itself has undergone a change, with customers wanting better experience and products. They (Future group) have also learnt from their retail ventures and are accordingly moving up to cater to the changing customer mix,” he sadi. And in this, Bharti Retail’s international practices — acquired from its erstwhile partner Walmart — will come in handy for Big Bazaar.